As seen at The Spank Statement. The great thing about these stories is that they are true! 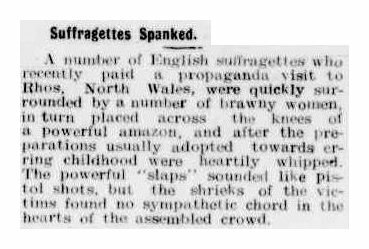 As someone who fantasises about spanking the living daylights out of a feminist, I can only imagine the pleasure the guys who spanked the window-breaking suffragette got! 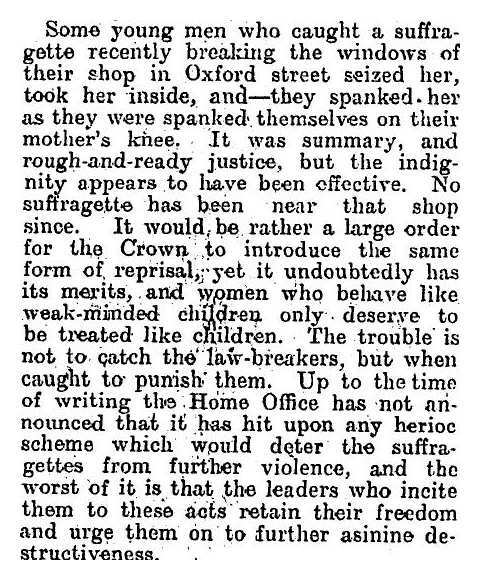 Interesting that the window was never troubled by a suffragette again… lesson learnt!